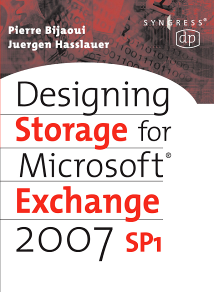 A former colleague and I wrote a book about Designing Storage for Microsoft Exchange Server 2007. It was more time consuming than I had assumed. However it was a very interesting challenge. It was published by Elsevier:Digital Press and is available on Amazon.com.